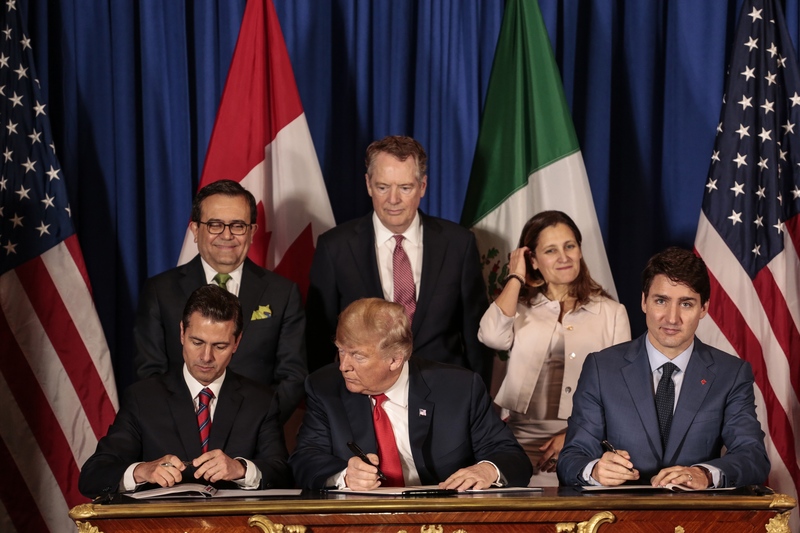 The leaders of U.S., Canada and Mexico signed a new trade deal Friday to replace the long-standing North American Free Trade Agreement, but tensions remain over lingering steel and aluminum tariffs. "As I discussed with President Trump a few days ago, the recent plant closures by General Motors, which affects thousands of Canadian and American workers and their families, are a heavy blow,” Trudeau said alongside U.S. President Donald Trump and Mexico’s outgoing President Enrique Pena Nieto on the sidelines of the highly-anticipated G20 summit in Buenos Aires before the new trade pact was officially signed. “Make no mistake, we will stand up for our workers and fight for their families and their communities. And Donald, it's all the more reason why we need to keep working to remove the tariffs on steel and aluminum between our countries." The U.S. continues to push for a quota in exchange for lifting the tariffs on Canada and Mexico, which have applied their own retaliatory levies. Canada has said it will lift its tariffs once the U.S. lifts its own. In an interview with CNN earlier this month, Trudeau indicated Canada still wanted the tariffs lifted before the new version of NAFTA took effect, but said the country wasn’t at the point where they wouldn't sign the pact if the levies weren’t lifted. Canadian business leaders like Linamar Corp. CEO Linda Hasenfratz have spoken out against the metals tariffs in the wake of the new deal. The head of Canada’s second-largest autoparts maker told BNN Bloomberg in an interview earlier this month “it’s not logical” that the tariffs are still in place with a revised trade pact. 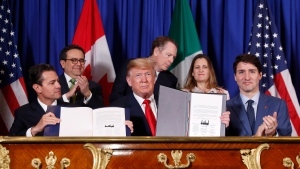 The new North American trade agreement – which the U.S. is calling the United States-Mexico-Canada Agreement, while the Canadian government is referring to it as the Canada-United States-Mexico Agreement – was reached in late September after a big push from the U.S. president to get the deal done before the midterm elections and before incoming Mexico President Andrés Manuel López Obrador officially took office Dec. 1. The deal still needs to be ratified by all three countries’ lawmakers. Do you support Trudeau challenging ‘Donald’ on tariffs in Argentina?